With the destruction of MEGATRONÂ, OPTIMUS PRIMEÂ thought that he was finally, after millions of years, at peace. Little did he know that the escape of STARSCREAMÂ would draw dozens of new DECEPTICONSÂ to Earth. The desire that burns brightest in his Spark is that the war will soon end. 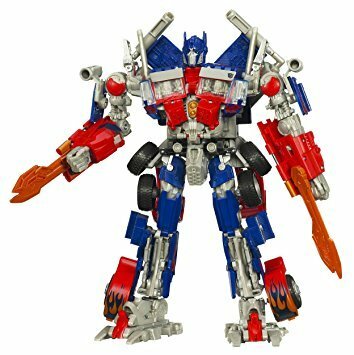 He is determined to see that end come, and so he works with his human comrades and the other AUTOBOTSÂ to hunt the DECEPTICONS that have come to Earth, and destroy them, one by one. Prepare for battle with this AUTOBOTÂ leader by your side! In robot mode, this mighty warrior features electronic speech and light-up eyes and chest that are sure to discourage enemy attackers! With snap-out energy swords, this good guy is ready to take on DECEPTICON forces once and for all! In tough truck mode, get in gear with engine revving and racing sounds and cool conversion sounds that let you know this hero means business! MECH ALIVE gearing reveals moving armor panels and internal gears that let you recreate some of your favorite movie scenes â or create your own! Team up with this awesome ally and roll out! 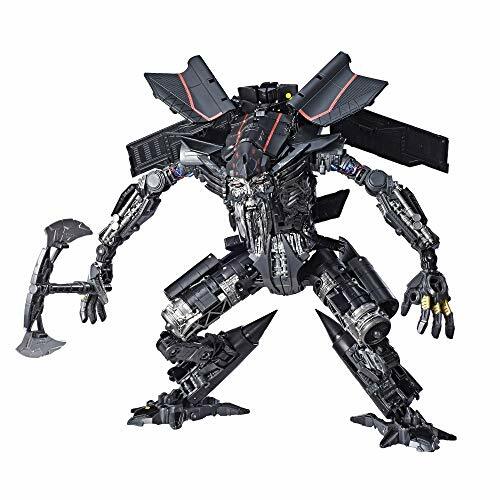 Reach past the big screen and build the ultimate Transformers collection with Studio Series figures, inspired by iconic movie scenes and designed with specs and details to reflect the Transformers movie universe.In the Pyramid Desert Battle scene from Transformers: Revenge of the Fallen, Jetfire makes the ultimate sacrifice, heroically giving up his parts to restore and strengthen Optimus Prime.This Studio Series 35 Voyager Class Jetfire figure features vivid, movie-inspired deco and converts from robot to jet mode in 36 steps. Remove backdrop to showcase Jetfire in the Pyramid Desert Battle scene. 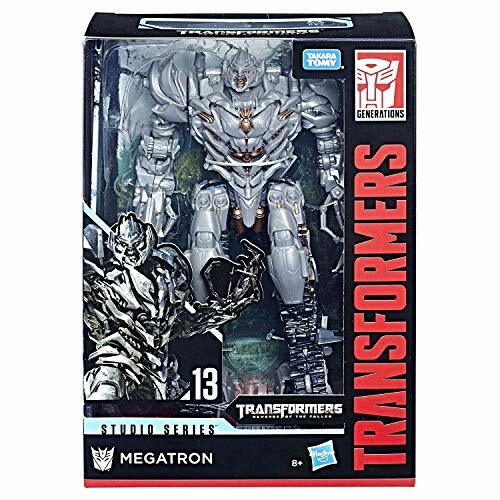 Includes 3 detailed accessories including cane and battle axe accessories.Lockheed Martin® SR-71 Blackbird®, associated emblems and logos, and body designs of vehicles are either registered trademarks or trademarks of Lockheed Martin Corporation in the USA and/or other jurisdictions, used under license by DreamWorks, LLC.Transformers and all related characters are trademarks of Hasbro.